I follow a lot of Instagram accounts, some friends, some readers, but mostly beauty blogs. Everyday I see incredible make up skills and beautiful colours on my feed. I figured I would share some with you. 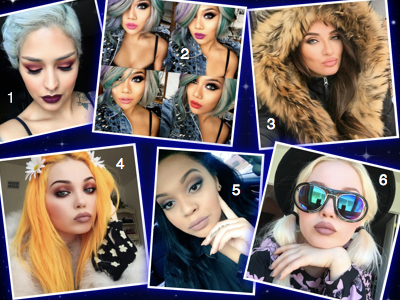 So, from this point onwards every Friday I will making a blog post on my Top 6 make up looks for that week. I will also link each look to the owners profile so you could have a look at their other looks and even try them for yourself. I got my GlossyBox through the post this morning! I’m so excited about it and I thought I would share my opening the box with you guys! Right so it came in a black postage box with the GlossyBox logo on it. I didn’t take a photo of the postage box because I didn’t feel it was necessary. The box that the products come in is bigger than I expected, really sturdy and a cute pastel pink colour. Considering that this GlossyBox only cost £10 it was well packaged. 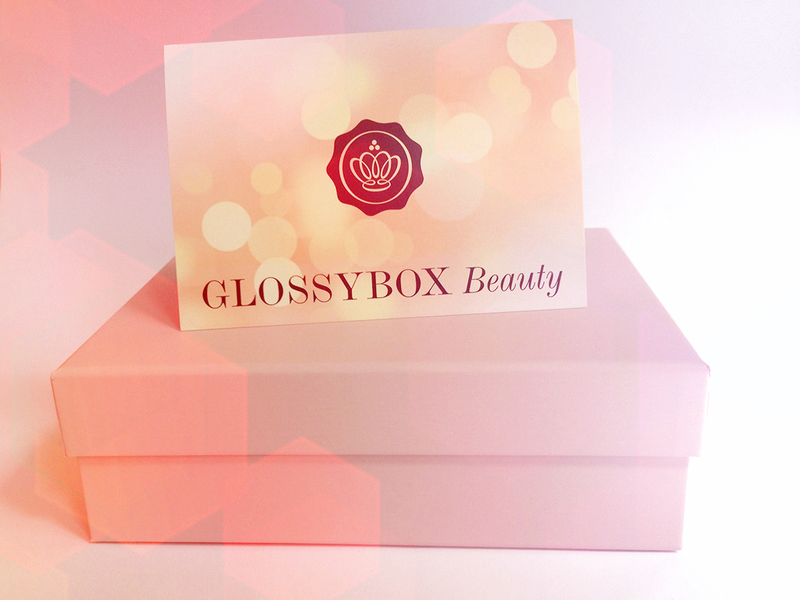 when I removed the lid I was greeted by pastel pink tissue paper sealed by the GlossyBox logo sticker and tied in a bow with black ribbon. You can tell that care has gone into boxing these little gems! I was so excited to see what they had chosen for me and normally I would rip open a package but this was so cute that I carefully unwrapped it. Inside were 5 beauty products laying on a bed of black shredded paper. As the box was only £10 i was expecting to be receiving tester size items but in fact all the products were full-sized. All of these items are items I would use but I’ve not used some of these brands so it will be good to give them a chance. I have had a little try of each of these items but I will be trying them properly and reviewing each product separately very soon. 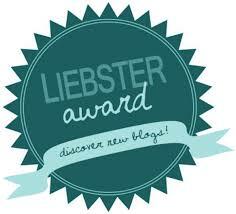 I’ve been nominated for the Liebster Award, I haven’t been blogging for very long and I’m not 100% sure what it is but I figured I would get involved any way! So a thank you to Beauty, Brains and Food for the nomination, go give this chick a follow! 1) What is your favourite beauty product and why? I am obsessed with EOS products. I purchased the summer fruits EOS lip balm early 2014 and loved it so much. It was so moisturising and there was a lot of product inside. Its eat to apply as you don’t have to use fingers to apply and it’s not in a twist up package where you end up digging out the last bits. When I found out that they ask had a hand lotion I went on a crazy hunt to find one. You get a lot of a fantastic product for your money. There are other EOS products but these two are my absolute favourites! They have a very wide range of delicious scents too! 2) If you could be any place in the world where would you be? To be completely honest I am in the place I would want to be. I live just on the outskirts of London, in a little town called Upminster. Theres not loads going on here but there is enough, and just a short train journey and I can be in central London. I like being in England, I even like the cold weather we have. My view on it is if I lived on a hot county then I wouldn’t know where to visit on holidays and I get to have little get aways in the UK countryside. Which suits me. 3) Whats your favourite food and why? Salmon. With anything. I could eat Salmon all day every day. I don’t know why if I’m completely honest. 4) Whats your favourite TV programme? See this changes all the time. I really enjoy fantasy shows but I also like shows which are drug based, (even though I don’t take any drugs), I just enjoy watching people s concept on drugs and how people are on them. My current favourite show is Orphan Black which I recommend to anyone! 5) If you could have a superpower what would it be? Ah this question doesn’t seem like a difficult one but it really is. like, I have two which i have whittled it down to. The first being teleportation, being able to teleport myself to another place, within reason. So I wouldn’t tele port myself to different time but just different places as and when I wished. The second is to be able to read people’s minds. This way you can tell what their motives are. The only problem with this superpower is that you might not want to know if someone is bad because you like them. 6) What scares you the most? I have a major fear of the unknown. I know it’s a weird one but I can’t explain it. 7) Do you have a favourite film? If so what is it? My favourite film of all time is a Disney film that was released in 1963 called Summer Magic. It’s not an animated Disney. Starring Hayley Mills, Burl Ives, and Dorothy McGuire, Su mmer Magic is story about a Boston widow and her children taking up residence in a small town in Maine. Okay, so it doesn’t sounds that good but I just love their dresses and the songs and how etiquette the ladies are. It’s not for everyone but maybe give it a watch and leave a comment on your thoughts? 8) If your house was on fire what would be the first thing you would save? I had this conversation with my Boyfriend the other day as it goes. This might sound mad to some people but I could save my cat. I would not leave that house until I found my little fur ball. Let me tell you a little about my cat, she is the dumbest animal you will ever meet in your whole existence. Her of farts scare her. She is such a wimp and hides from everyone that isn’t family. Wont adventure further than the garden. I love her so much, cat lovers will understand my choice here. My family are pretty smart and can get themselves out safely I’m sure and the rest of my stuff can be pretty much replaced. 9) What do you enjoy most about writing a blog? I enjoy writing full stop but what I like about blogs is that I can write my views and opinions on here and other people can come and read what they want when they want, nothing is being forced on them. Its nice getting comments back from visitors to my blog sharing their views on products that I have reviewed too. 10) Whats your favourite memory? It’s a really simple thing but when my sister and I were younger every Sunday morning we would help my mum thoroughly clean my house and then around mid day my dad would take us both ice skating whilst my mum prepared and cooked dinner. Then we would go home and all eat together and finished the evening by snuggling up and watching movies together on the sofa. It doesn’t sound like a majorly fun thing to do but it was just the family time like that which I really enjoyed. As we have got older we have all started to work different shift and we hardly see each other anymore, let alone spend a whole Sunday together. I have only done 5 because I can’t seemed to find people who have less than 200 followers that haven’t already been nominated. 1) What is something about you that not wouldn’t be expected? 2) who is your favourite band/artist and what song? 3) What were your job aspirations as a child? 4) Cold or hot drinks? 5) Whats in your handbag? 6) If you were stranded on an island what would you take with you (only one item)? 9) Favorite place and why? 10) Favorite flavour ice cream? Right, I kind of feel like this post is a bit soon but that it is also needed. This is a kind of ‘sorry for the overload of lush’ post. 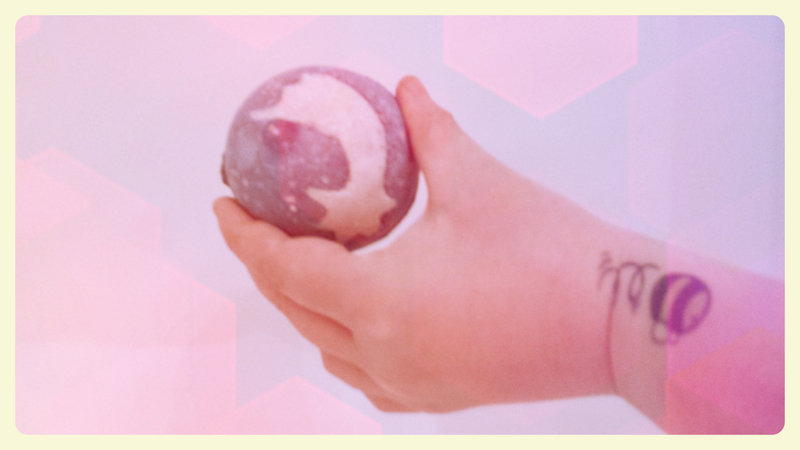 I am aware that the only posts that I have published so far are reviewing Lush products. I am sorry for this, i promise that there will be more variety in each of my posts. 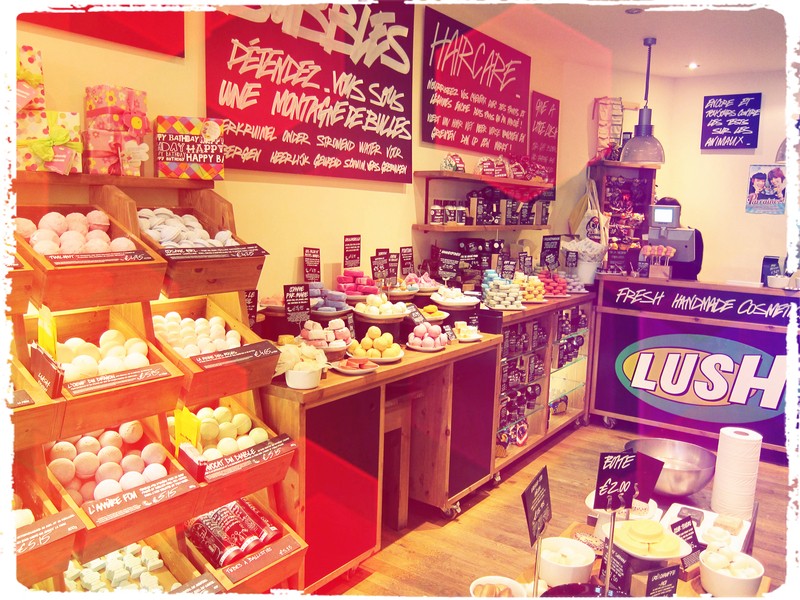 I do love Lush products, a lot. I probably know a bit too much about their products but this isn’t a Lush review blog, so it will be changing and improving. I guess as I’m a new ‘blogger’ I am still trying to find my way and figure out what is worth blogging/reviewing. The next post I can promise will be something different. So, WATCH THIS SPACE! 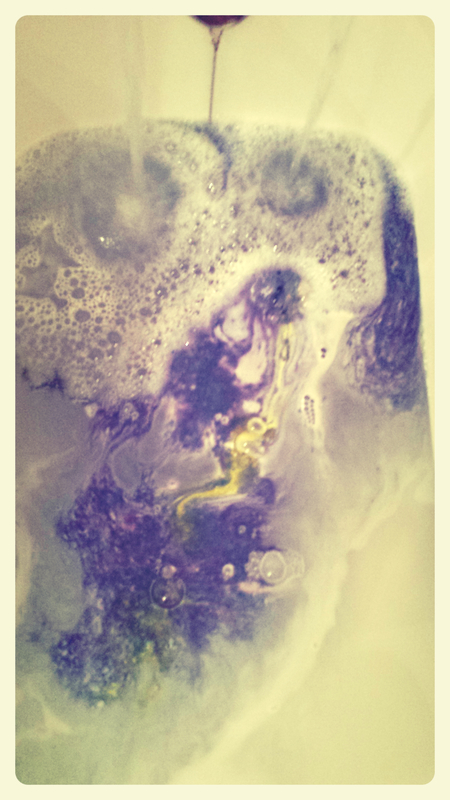 The bath bomb that I will be reviewing today is Shoot for the stars. This is another Christmas bath bomb but I’m reviewing it still because it first came out in 2013 and it was brought back this Christmas (2014), so I figured I would review it incase anyone had received it over the christmas period and was kind of putting to the back of the queue or wanted to look out for it next Christmas to give it a go. It has changed a little from last year, if I’m correct, I think the bath bomb from last year had a pink shooting star and this year it was silver. 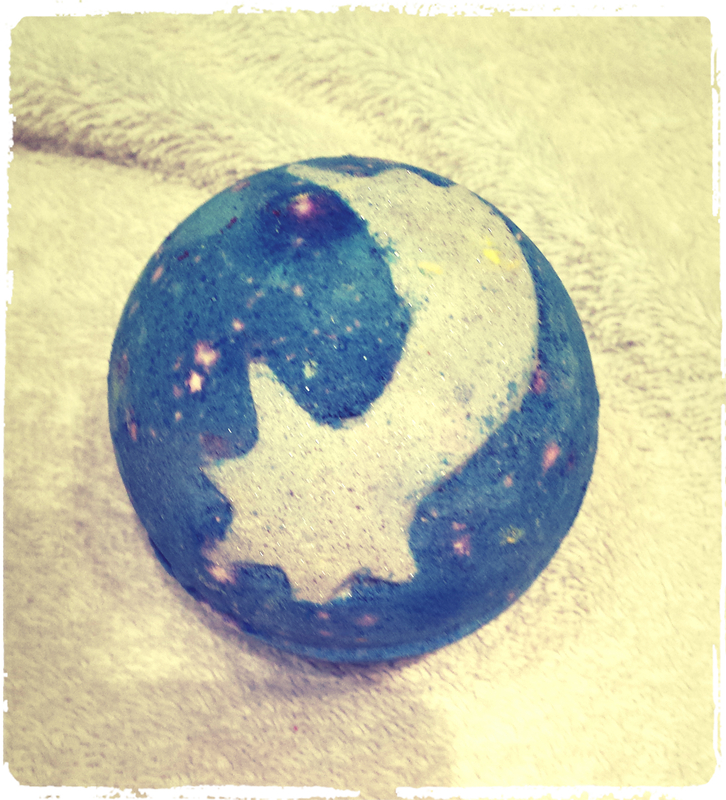 Pre bath this bath bomb is pretty colour and has a very strong scent. The scent is like the scent of ‘Honey, I washed the kids’ soap also by Lush. The scent does become more subtle when it is in the bath but the colours that the bath bomb produces when it touches the water are incredible. Firstly the amount of fluffy lilac foam that Shoot for the Star produced made it double in size and then little bursts of yellow started to appear from the centre of the bomb. 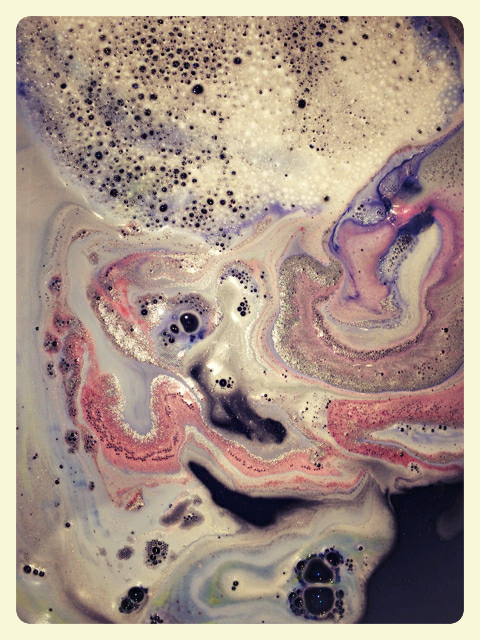 After a few minutes the bath bob releases a reddish pink colour that entwines with the purple creating swirls of beauty. This bath bomb is a slow fizzer but is 100% worth the wait! 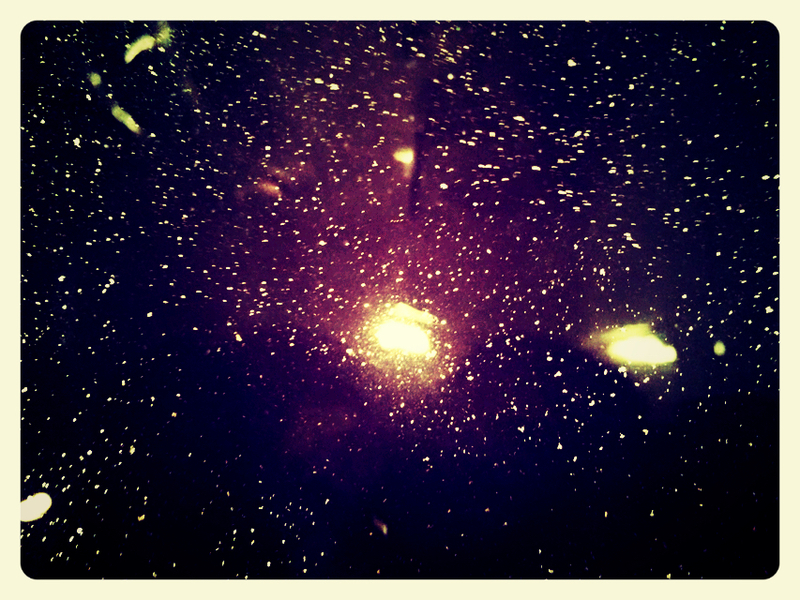 the after math of water is a deep purple almost galaxy effect, which would make sense being as the bath bomb is called ‘Shoot for the Stars’. WARNING!!!! If you don’t like glitter this bath bomb is NOT the one for you as is has glitter on the outside and even more on the inside, but if you love glitter this bath bomb is perfect for you. Just remember to give the bath a rinse after you’re done to wash away any excess glitter. Sorry I couldn’t get a better photo of the glitter and the lights were reflecting in the water too. however this is the final product of bath water, this deep purple, almost black water with a generous amount of little specs of glitter. Quantitative Ingredients: Sodium Bicarbonate, Citric Acid, Brazilian Orange Oil, Bergamot Oil, Cream of Tartar, Lauryl Betaine, Sodium Laureth Sulfate, Propylene Glycol, Perfume, Gardenia Extract, Titanium Dioxide, Benzyl Benzoate, Butylphenyl Methylpropional, Limonene, Linalool, Colour 14700, Colour 45410, Colour 17200, Colour 42090, Colour 19140:1, Silver Lustre, Pink Lustre, Yellow Lustre, White Edible Stars. It has a very powerful rose scent to it as you would expect but its more like the Turkish Delight Rose rather than the Rose flower. 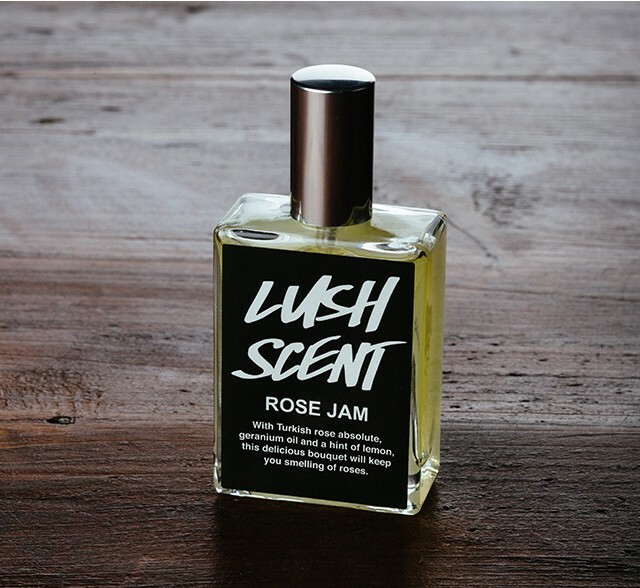 There is an infusion of rose oil, geranium oil pads and rose absolute as well as subtle elements of lemon, giving it that slightly zesty scent too. It’s a rather thick shower gel and you don’t need to use lots at one time (which is good as its only available at christmas). 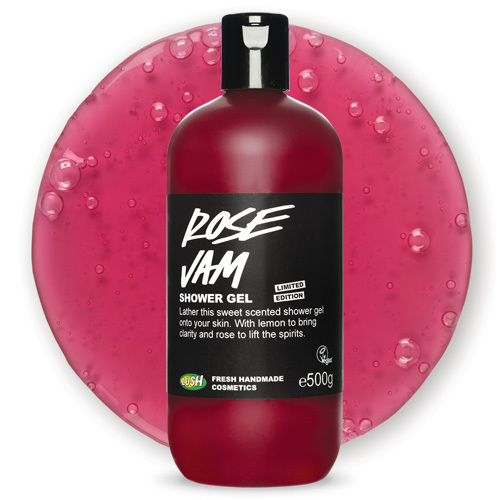 It lather’s extremely well and its very moisturising.This product contains organ oil which is a nice touch if you decide to use a splash of this body wash in the bath. What I absolutely love about Rose Jam is that the scent remains on your skin hours after you have showered in it. if you want to be able to top up the beautiful Rose Jam scent throughout the day then it is defiantly worth buying the Rose Jam Perfume, which I will be reviewing for you very soon. Quantitative Ingredients: Water, Vanilla Pod Infusion, Cypress Leaf Infusion, Sodium Laureth Sulfate, Sodium Cocoamphoacetate, Lauryl Betaine, Perfume, Goji Berry Juice, Lactic Acid, Argan Oil, Organic Rose Absolute, Rose Oil, Egyptian Geranium Oil, Sicilian Lemon Oil, Coumarin, Citronellol, Geraniol, Limonene, Colour 17200, Methylparaben. Price: The price ranges for this product depending on what size your purchase.